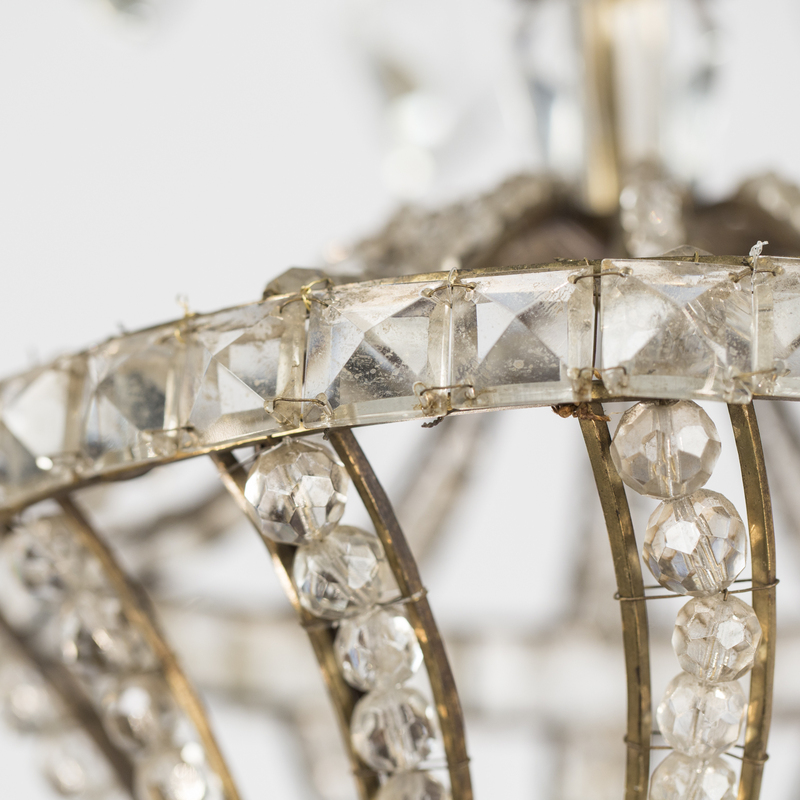 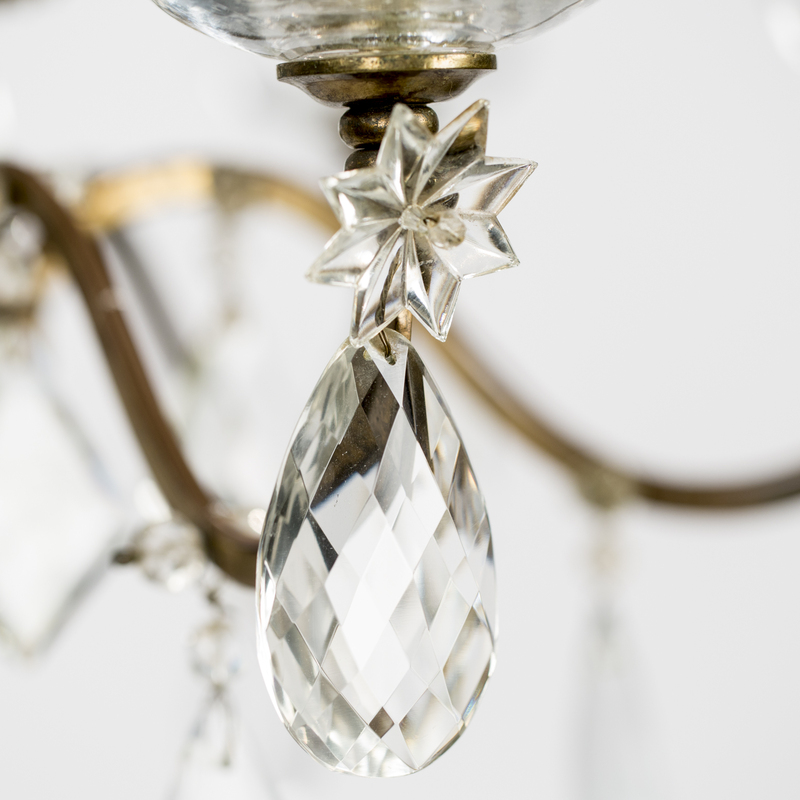 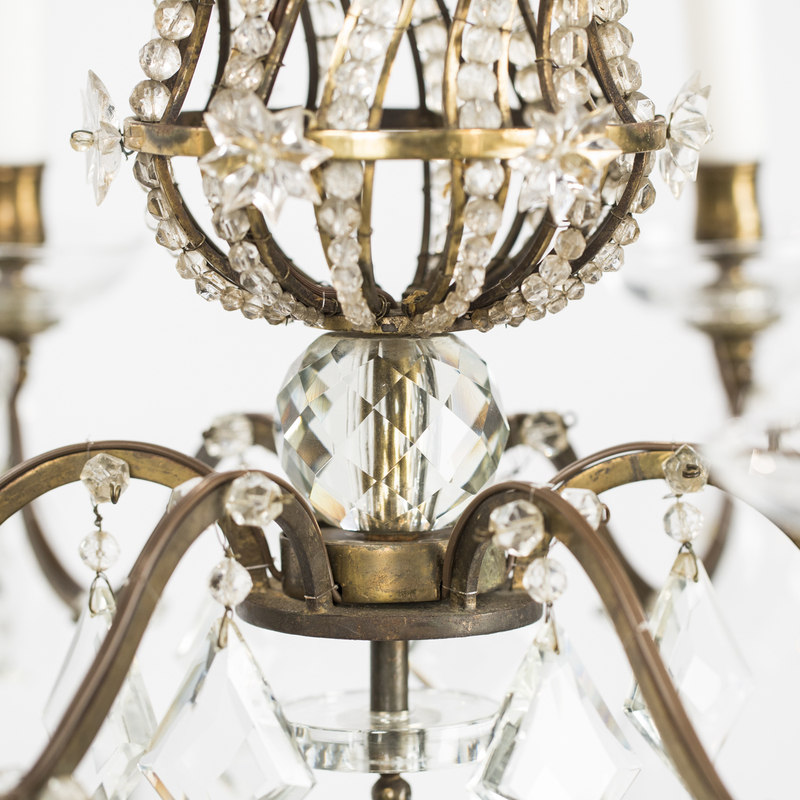 An elegant chandelier in the manner of Maison Bagues, the famous French lighting house established in Paris in 1840. 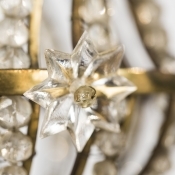 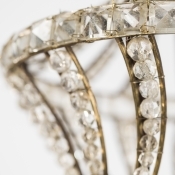 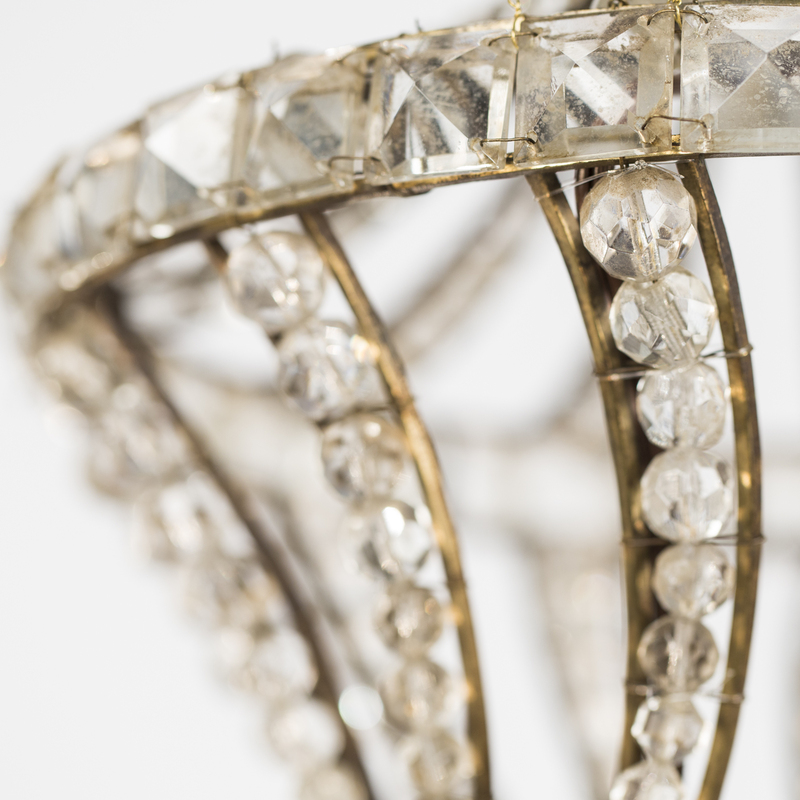 Known for their luxury creations and as a symbol of French high taste and craftsmanship, this piece with an intricate brass and crystal inner cage accompanied by six arching light stems, is a beautiful example of the Bagues style. 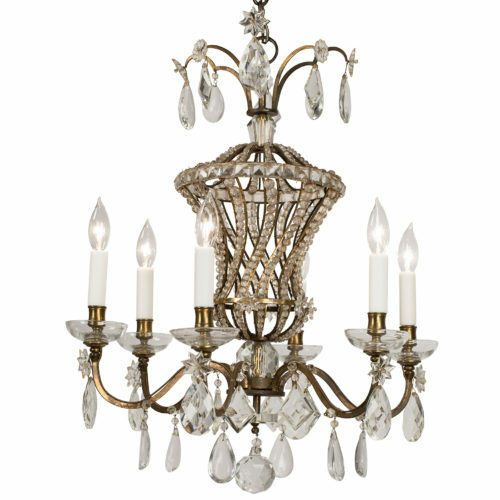 It has been rewired for US circuits.